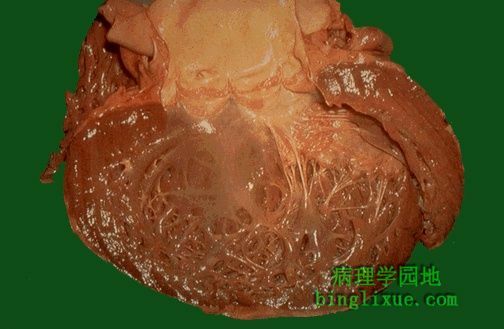 Here is a large, dilated left ventricle typical of a dilated, or congestive, cardiomyopathy. Many of these have no known etiology (so-called "idiopathic dilated cardiomyopathy") while others may be associated with chronic alcoholism. The heart is very enlarged and flabby.